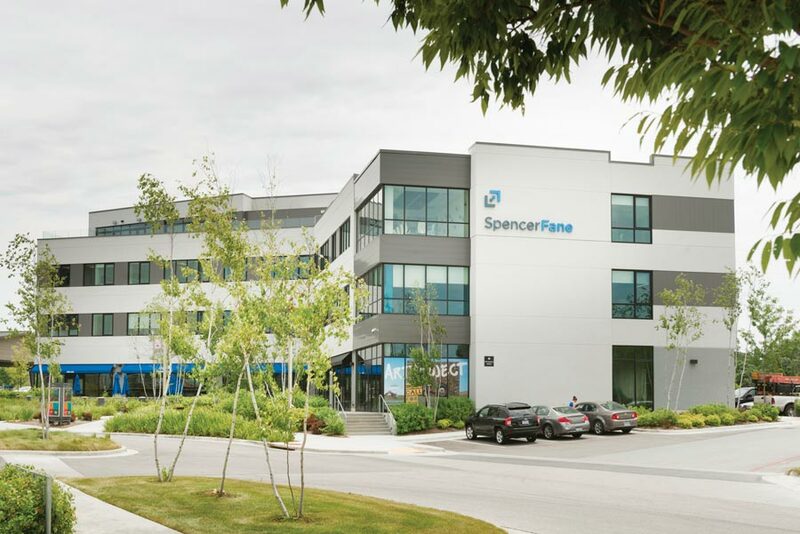 The new Spencer Fane office in Springfield’s Farmers Park looks more like a creative business space than a law firm, but that was exactly the company’s goal. Starting a new law firm calls for creating a new office—one that is just as energetic, modern and tied to the local demographic as the company is. 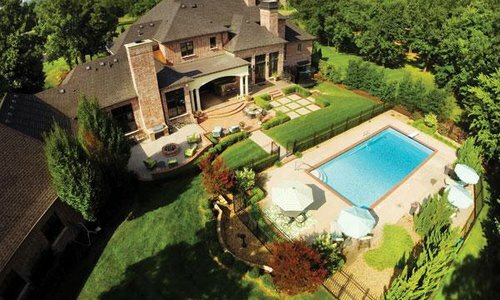 Spencer Fane found all of that when they moved into their new home in Farmers Park. 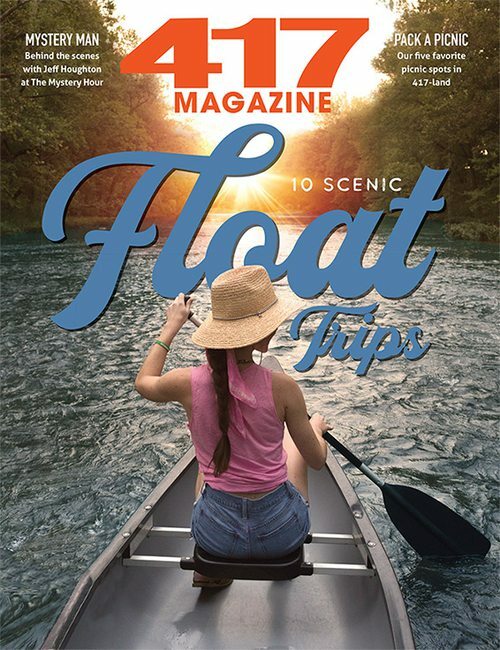 Spencer Fane has offices in Missouri, Colorado, Nebraska and Kansas, but the firm did not have an office in Springfield until six partners came together to start one in June 2014. They set up shop in a 6,000-square-foot temporary space but knew they needed to quickly transition to a bigger office, says Richard Walters, a managing partner for the Springfield office. The firm partnered with Joyce Buxton and Buxton Kubik Dodd Creative to make the interior design of the new Farmers Park space come to life. 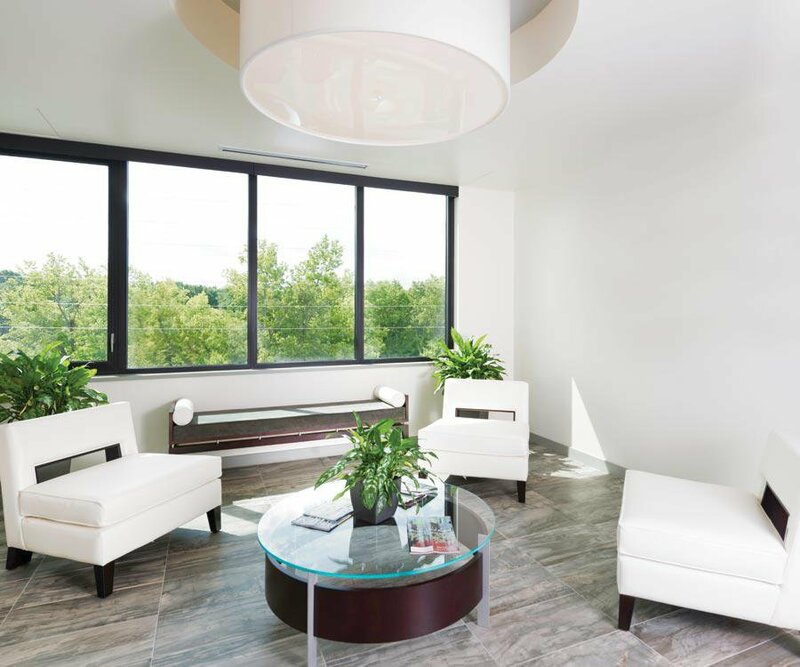 Walters had visited the Spencer Fane office in Denver during the design process, and he sent photos of the modern, classy space to Buxton for inspiration. The office lives in the entire third floor of Building B in Farmers Park. 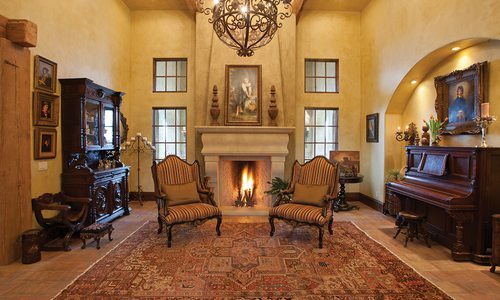 It consists of 12,300 square feet of offices, conference rooms and meeting places. The whole space is designed to move, with rooms converting to social centers and functional places for the firm to host events. Buxton focused on being natural. 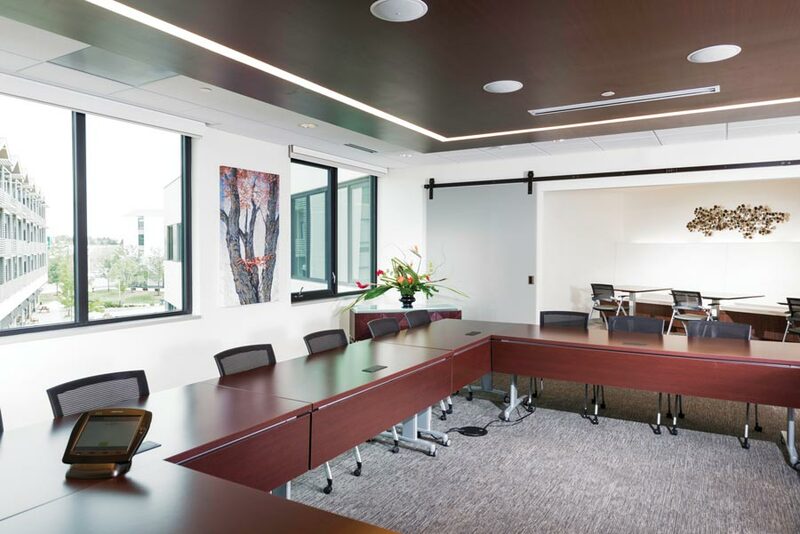 Conference rooms have wall-to-wall windows, daylight is a primary source of illumination, and wood and stone materials are highlighted. Buxton says the color palette is a neutral backdrop for carefully selected, mixed-media art pieces that create focal points throughout the office and are a reflection of nature and the community at large. When planning meeting spaces and conference rooms, Richard Walters says the team didn’t want a dark, traditional concept. They wanted the energy and inspiration of a creative space, with a timeless, comfortable feel and the ability to move furniture for collaboration. “You really are excited to come to work every day,” Walters says. 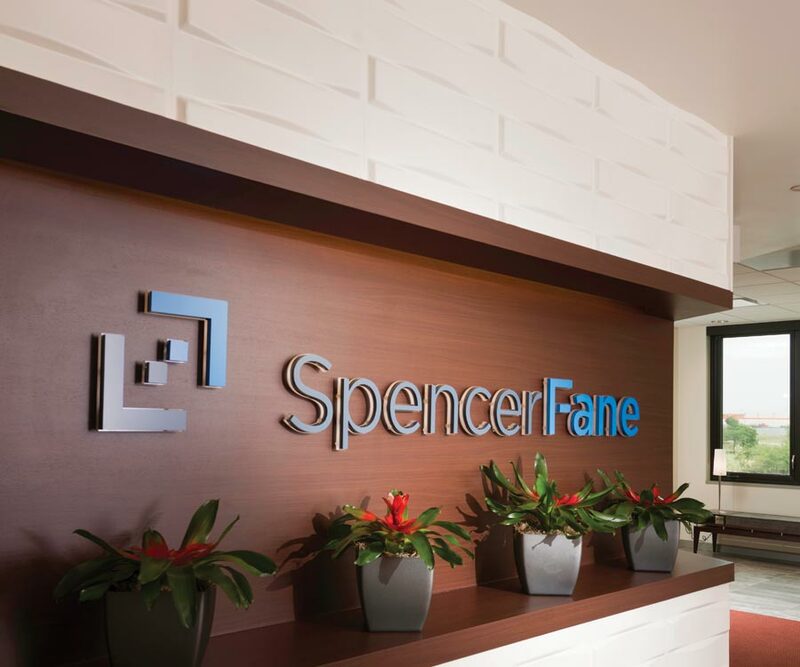 The Spencer Fane Britt & Browne LLP company launched a new branding effort around the same time the Springfield office was being built, so the Farmers Park space is one of the first to showcase the new logo. Richard Walters says the Spencer Fane team knew immediately they wanted their offices to be in Farmers Park. The firm likes the energy of the community and supports their neighbors by having the occasional lunch meeting downstairs at Metropolitan Farmer and volunteering to help with the community garden. 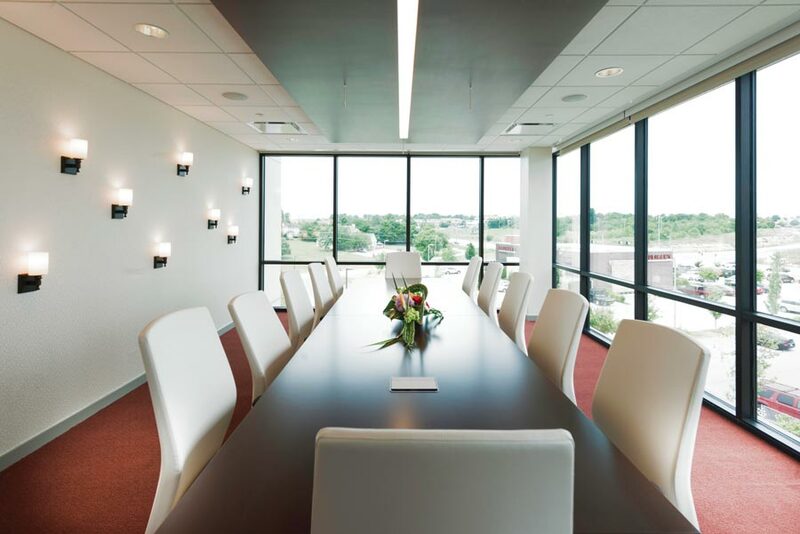 In one of the office’s most used meeting spaces, Joyce Buxton focused on lighting. 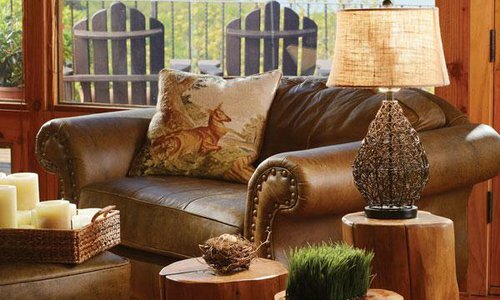 Walls of windows let in lots of natural light, and light fixtures are used as both functional and art pieces. Buxton says lots of planning went into the lighting design for this room, which is visible from Republic Road and Farmers Park.